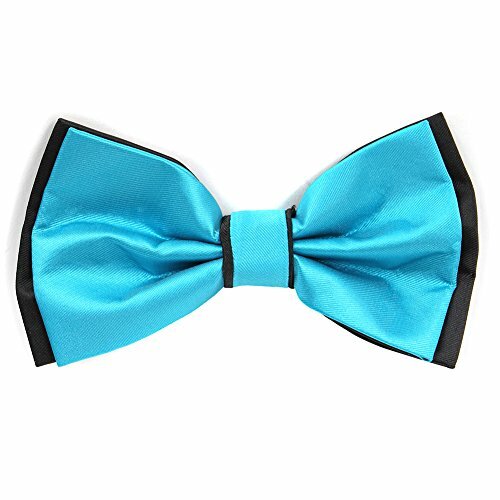 These stunning High Contrast Brand Q bow ties combine the latest fashion trends with high quality craftsmanship and beautiful materials -- ensuring high appeal -- and they are "soft to the touch". These ties work well for many occasions: with a tuxedo for formal events or with a sports jacket (or just a shirt) for more casual dress-up" occasions like going "out" for dinner or to a party. Wear one of these and you're sure to make an outstanding impression! " These bow ties come with 2 hankies -- one of each color. Presented in nice gift box.